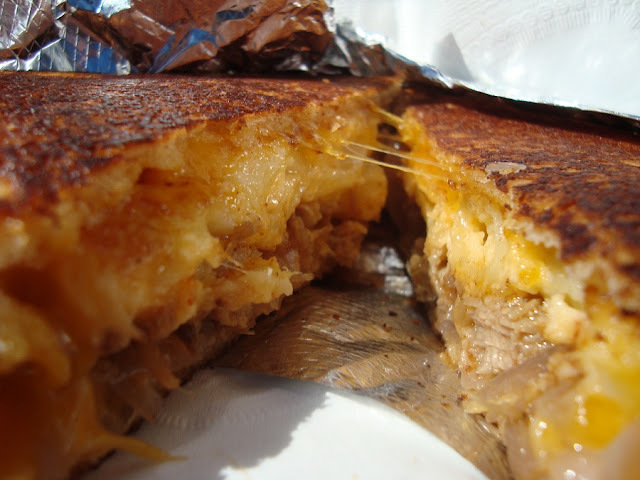 Tastee Food Truck is the one and only grilled cheese truck in Atlanta. As soon as I read their menu I knew I had to get one. 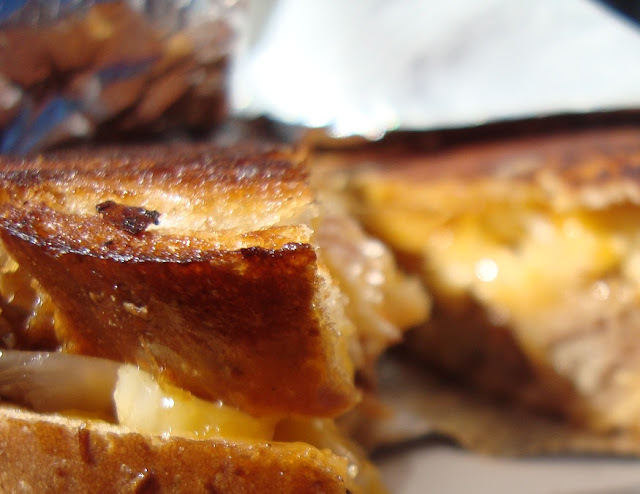 Everyone loves a grilled cheese sandwich! I ordered The Uncle Jesse, the Mac Daddy of them ALL... Cheddar Cheese, Mac & Cheese, Caramelized Onions, Pulled Pork and BBQ Sauce. So incredible you'll want seconds.